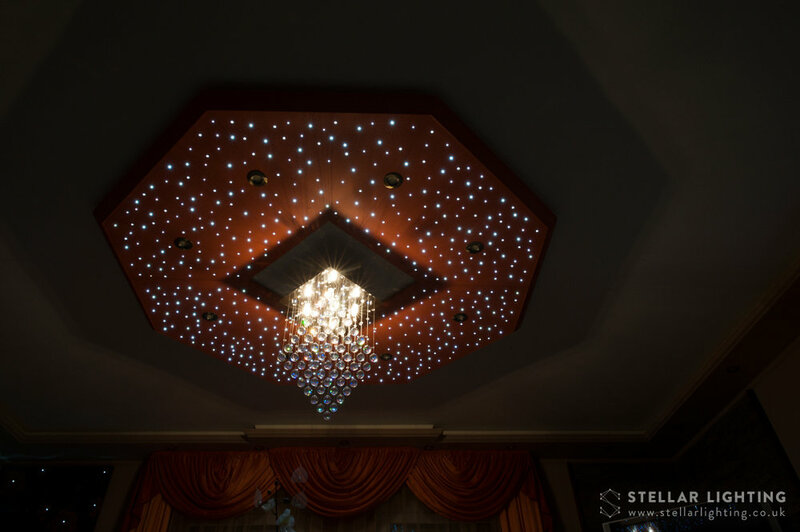 Stellar Lighting is delighted to showcase the Classical Octagon design, featuring both twinkly and sparkly ceiling lights! Octagons are often used by interior designers when making stucco ceiling panels with decorative plaster edges. In this elegant and luxurious design the panels are embedded with spot- and LED lights shaped around a crystal chandelier in the middle. The rim lighting further emphasises the contours of the shape and the individual light controls allow for an endless number of combinations aligned to your particular mood and lighting requirements. In addition to the starlight area, this design has eight dimmable LED spotlights and warm white rim lighting. Our LED star ceilings are handmade to order and the colour, design and shape can be altered to meet your needs. For pricing information, please click here. 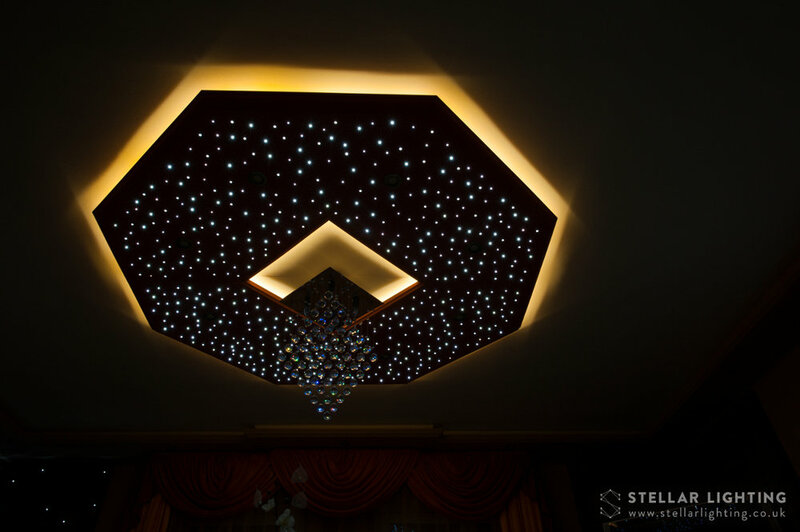 If this star ceiling, or any of our other designs, inspires you and you'd like an LED star ceiling, please get in touch using the form at the bottom of the page. Alternatively, you can email on info@stellarlighting.co.uk or give us a call on 07572 555956 to discuss what you'd like.